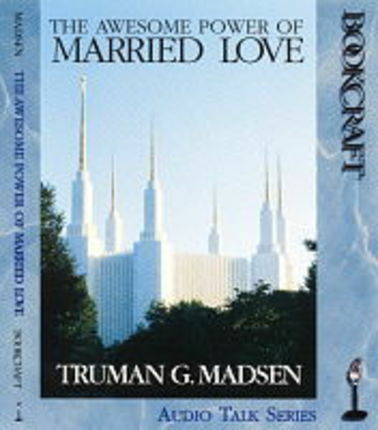 Prominent speaker and writer Truman G. Madsen here illuminates an exciting and crucial subject: love and marriage. Drawing on valuable, little-known insights from early Church leaders, the speaker demonstrates that the gospel's timeless principles offer solutions to present-day problems encountered in the marriage relationship. Full of valuable insights and illustrations — and a generous portion of humor — this tape explores the heights and depths of what can be characterized as "the awesome power of married love." 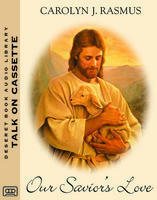 Thank you for the inspiration to record this fireside talk and have it available for all. He is interesting, funny, clever, with thorough details easy to understand and apply in your own life. Even if you are not married, the knowledge of gospel doctrine is invaluable. Get to know Elder Madsen, it is as if you were there in person. 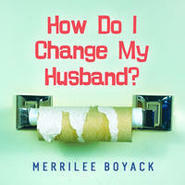 In a world where we can become so disillusioned about marriage, this talk gives you hope and courage. Brother Madsen uses clever humor and touching stories to soften your perhaps angry, frustrated heart. It will keep you laughing and sighing throughout no matter how many times you listen. It reminds you through doctrine how precious your spouse is.